Colombia Hosting Review 2019: Is Colombia Hosting a Good Hosting? 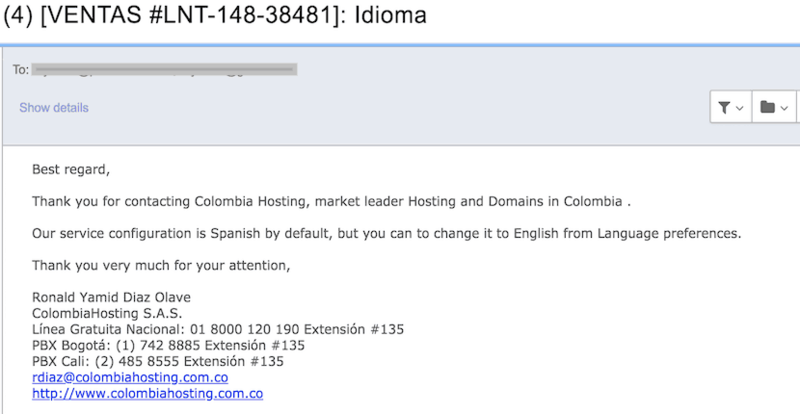 Colombia Hosting is the self-proclaimed number one hosting provider in Colombia. It boasts of having served over 21,000 customers with web hosting, domain registration, and website design services. Security and performance are top priorities for this provider. As such, it only uses its own privately-owned Xeon servers and has 24-hour server facility video surveillance. Colombia Hosting is the self-proclaimed number one hosting provider in Colombia with over 21,000 customers served since 2004. It offers shared, VPS, and private web hosting, along with reseller plans, domain registration, and web design services. Its primary language is Spanish but cPanel can be changed to English in the settings section. Security and reliability are top priorities for this provider – with all servers privately owned and monitored by camera. It has data centers in Colombia and the U.S.
All Colombia Hosting plans utilize TurboSSD hard drives. TurboSSD is a faster, boosted type of Solid State Drive that allows your website, and the information it handles, to be processed at a faster rate than normal. SSD is already faster than RAID, so this is an increase on top of that. Colombia Hosting includes many other features that customers of any level can appreciate. One of these is the built-in cPanel control panel. Through cPanel, users can easily install and have access to powerful software such as: WordPress, Joomla, a website builder, shopping cart for E-Commerce, and much more. For helpful instructions on how to get started with cPanel or other hosting features, users can head to the knowledge base for information. The more professional users will find the array of security and performance features such as three-level firewall protection, 24-hour server facility camera surveillance, and Xeon processors with 48GB-76GB RAM a benefit to their business needs. 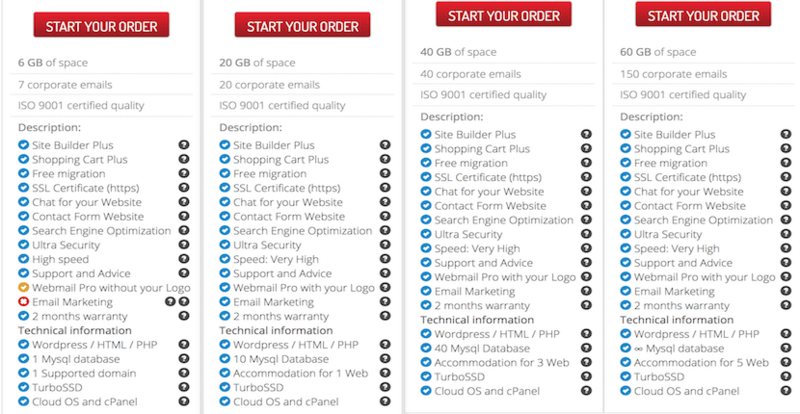 Domain registration is included free in all of the plans, as well. Colombia Hosting plans are very reasonably priced with its entry-level plan competitively priced at, or below, that of local and international competitors. Payment is on an annual basis except for dedicated (private) server, which can be rented month-to-month. All plans come with an impressive 60-day money-back guarantee. It currently offers a 25% discount on hosting plans for the first year of service only. Support is provided via online ticket through the webform as well as chat and phone. Technical support requests can be made 24-hours a day, however, I contacted them at night (Colombia time) with my general sales enquiry and did not hear back until the next morning. Phone support is available via local and toll-free Colombian telephone numbers. Colombia Hosting provides an impressive portfolio of hosting features for individuals or businesses needing hosting in Colombia. With security and performance as top priorities, as well as a 60-day guarantee, it is a good choice for a hosting provider if you are not concerned about an immediate support response. Wondering how Colombia Hosting stacks up against other Web Hosting companies? Enter any other Web Hosting company and we will give you a side-by-side comparison.